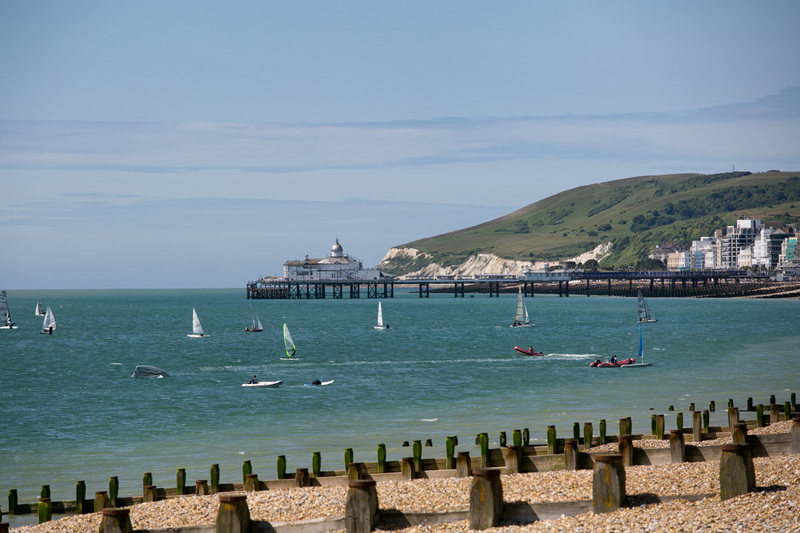 Adventure-seekers are set for a sensational summer as Beach Life Festival returns to Eastbourne this weekend (15-16 July) of live music, surfer VWs and extreme sports. From daredevil BMX stunts to a two-day Roller Derby and supersized SUP Paddleboard Races, this year’s event is no exception when it comes to providing adrenaline-fueled fun for the whole family at this wonderful Sussex day out. The jam-packed weekend features jaw-dropping stunts and fun interactive activities both on land and sea, spectators can watch in awe as extreme sport experts show off their skills across the weekend or join in with the action on selected activities! The Inspire Show Team will be providing the ultimate adrenaline fuelled display as free runners do flips in the air and MTB Trials riders make massive leaps across structures! The professional stunt team will push the limits to provide an unforgettable viewing experience. Rolling back onto home ground is the Eastbourne Roller Derby Event at Fisherman’s Green on both days of Beach Life Festival. This year Saturday’s game format is 'Eastbourne vs. The World' offering the Eastbourne Roller Derby’s men’s, women’s, mixed and kids teams the chance to play against local Roller Derby rivals including Brighton Rockerbillies, K-Hem and Weald Warriors. On Sunday, the Seaside Sevens Tournament will take place where gameplay will intensify as each game can be battled by only seven players per team. Competing on Sunday is a mixture of intermediate – advanced level girls’ teams and open to all teams, both of which are always highly competitive. My Skate World’s World Slalom Series returns with an incredible line-up as it features one of the UK’s top skaters, Chelsie Peters, along with the father and daughter skating duo, Paul and Katie Croft. Budding skaters can hone their skills, have a go at the limbo and high jump in the interactive court or try out hockey with Eastbourne Edge, the In Line Skate Hockey Club. Headlining the watersports line-up is the XL stand up paddleboard race which will be hosted by Buzz Active. The giant boards can hold up to six people at a time and two XL paddleboards will be available for teams to race while trying to stay balanced! 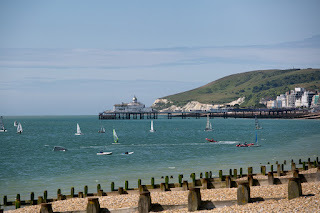 The races will take place from 2.30-4.30pm on Saturday and Sunday, each team will be made up of a maximum of six people per paddleboard at £30 per team. Teams must be booked in advance, for further details please call Buzz Active on (01323) 417023. 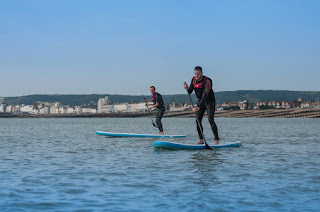 Buzz Active will also be offering taster sessions for windsurfing, sailing and stand up paddleboarding which are all led by fully qualified instructors. 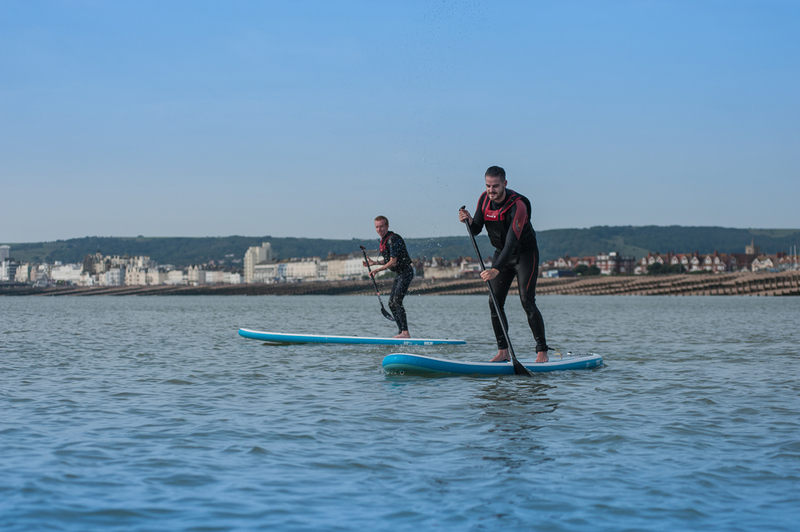 Eastbourne Kayak and Surf will be giving audiences a glimpse of the latest water gadget as they demo a JetSurf, the surfboard with an engine that powers through the water without waves or wind. The JetSurf tent at the Beach Life Festival will be running a two-day raffle with the main prize being a free JetSurf lesson worth £200! For those who prefer to leave the action to the professionals, there are plenty of spots to chill out at Beach Life Festival, including the colourful VW Bus Stop, sponsored by VW Heritage. Colourful VW Campervans will be lining the promenade on Sunday as the perfect addition to the surfer’s paradise. Adding to the festival vibes is SunSonic who will be bringing the soundtrack with DJs – including JellyFunk, performers and dancers. Crowds watching Saturday’s Music Stage from 11am can sing along to hits from the likes of Michael Jackson and Little Mix while building their fitness as Maria Collyer leads a ‘Swoove’ class. The popular gym class has crowds singing, whooping and moving to the music they love, while burning up to 800 calories an hour! Ungrateful Dad, The Fo’ Shos and Cardboard Hit are just a handful of the headlining acts on the music stage across Saturday and Sunday for audiences to dance along to. On Saturday at Princes Park a community fun day will be in full swing with performances, art workshops, a discovery trail and more, organised by the Friends of Princes Park and Same Sky. The entertainment continues with a music stage featuring live performances on Saturday from 12.30-7pm with Beach Life Festival returning to the stage on Sunday.